Popularity in traditional martial arts have risen since the Bruce Lee era and is only growing faster as kickboxing and mixed martial arts events become more prevalent and accepted in mainstream media. Whether you were a former champion in your respective martial arts or have helped coach classes and want to expand on your own, this guide will provide you with items and options to consider in your quest to own a martial arts studio. 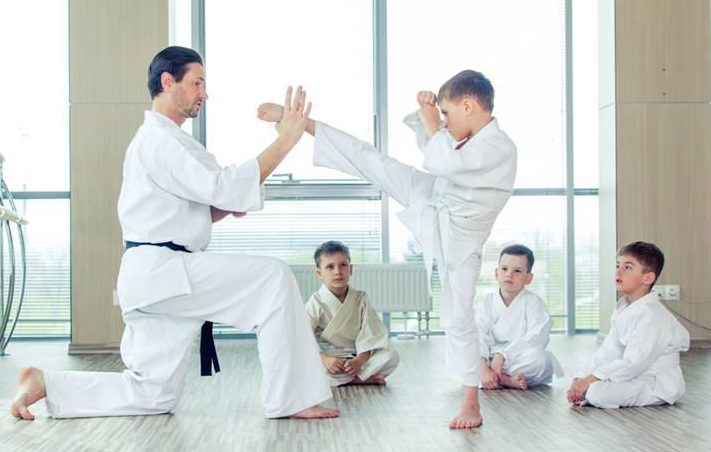 ​To attract new students, you must demonstrate your expertise in the martial art you are trying to promote. If your martial arts of interest utilize a ranking system, such as karate or judo, then owning a high belt color with a proven lineage will be helpful. Having a black belt is almost a minimum requirement these days. ​A competitive record as a champion and medals earned can also drastically help in the promotion of your martial arts studio. Amateur records counts too! If you lack these accomplishments and are simply interested in owning and growing a martial art studio, then you must find someone to fill this spot. ​It is important to understand the area or community where you are planning to open your martial arts studio. Do a little research and find out the common work schedules, with the consideration of the commute time for those outside the 5 mile radius. For example, scheduling classes to start after 6 pm would make it available for the 9-5 PM working class. While holding early morning classes, such as 7 AM, would be preferable hours for the night shift workers or those determined to train before going to work. Kid’s class should be after school hours and before adults class. ​Initially, you might want to rent out space but do not have the financial means to do so. Try sharing space with another gym. Look for any fitness gym or a location teaching a different martial arts and are willing to rent out their mat space. For example, a muay thai teacher could partner up with a jiu jitsu gym and compliment each other. However, make it clear and obvious that you operate separately from the facility owner. Not only is sharing space a cheaper option, but it also reduces the need to invest in your own gym equipment. At least, until you save enough money to venture out on your own. Now if you got enough money to rent out your space, consider looking at areas with a large and concentrated population that lack your type of martial arts. Check out rental space that is visible from the street or somewhere with a lot of foot traffic. Make sure the chosen studio space is offered at a reasonable rent and is within your budget. An expensive area might bring well-off clients and more eyes, but if you struggle to pay the monthly rent then a continuing cycle of debt might spiral out of control. ​Another thing to think about during your search is if the studio has enough space to fit a front reception desk and a changing room. A bathroom is a must and one with a shower would add great value for the students. A functional heating and air conditioner system might also be required based on how hot or cold your location becomes over specific time of the year. Make sure to prioritize these considerations based on what is available and if your finances can cover it. ​If you are opening up a location of your own and not renting from others, you will need to purchase mats. Thicker mats will be needed if you teach a martial arts that does takedown or throwing drills, such as judo. Dollarmur is a good starting point for your mat buying needs. Try creating a list of must-have items and purchase those first. As your business becomes profitable, you can expand to fancier setups over time. ​You will need a collection of gears for use within the gym. Of course, each martial arts may require different equipment. For example, boxing would need boxing gloves, while tae kwon do students wear uniforms and utilize special kicking pads. At first, keep the items needed to a minimum. To save cost, consider requiring each new students to purchase items from a checklist before starting class. Alternatively, you can contact a company and negotiate with them to buy gears below retail price. This way allows you to stockpile gears to sell for newcomers as well as make a little profit for yourself. ​Make sure to keep your mats and studio clean. At least, get a mop and a cleaning solution for the mats. ​An important document to keep around is an injury liability waiver form. Each student should be required to sign it before participating in any class. Save these forms as it will excuse you from any accidental injuries that may occur. Take time to figure out a membership pricing structure that is competitive, relative to your martial arts, but does not scare clientele from approaching your studio. An assortment of pricing structures are implemented throughout different martial arts gym and their success greatly varies. Popular options are a punch card that allows for a set number of classes and the standard monthly membership format. Alternatively, you can also have your students choose from a contract membership ranging from 1 month to a year, with a cheaper per month cost for the longer contracts. This concept acts as an incentive for the students to commit to you in the long term. Choose the option most beneficial for you and your clientele. ​A software for tracking and billing members of your martial arts studio will come in handy. It should be able to alert you to expiring contracts and a reminder for the customer to renew or let them know their contract expired. This software would greatly help save you the hassle of tracking customers payment plans and is essential for accounting purposes. Zen Planne﻿r is a billing and membership software that may be worth checking out. ​Marketing is a very important aspect of starting and growing your martial arts business. At minimum, you will need an online presence to advertise your business. The first step is to make your business information available online. For example, you can create your business profile on Google My Business to have important information like your martial arts studio’s address and contact information show up in Google Maps. Doing this will also allow people to review your business. ​Another simple and free option to promote your business is through Facebook. Create a page for your business, use it to share with your friends and have them help spread the word about your martial arts studio. ​Building your own website may seem like an intimidating process, but there are websites out there such as GoDaddy and Squarespace that simplify this process and guide you towards building a professional website. ​You can always add the old traditional method of posting flyers at various locations to promote your business. These locations may be at weightlifting and crossfit gyms, where you can build a mutual relationship that promote each other's location. Make sure your flyers have the appropriate language and any approval requirement for posting them are satisfy. A common method to attract potential customers is offering a free trial period that allows them to try out your classes, at no cost, before committing to a contract. You can also hold what are known as “open mats” sessions that allows your students' friends and families to come train and check out your gym for free, in hopes of possibly getting them to join as well.